Your everyday shopping can earn HCES money! HOW: Download app to phone, take a picture of your receipts. This year we are participating in a hassle-free fundraiser called Shoparoo. Over 7000 schools are already fundraising through Shoparoo and we see it as great opportunity for us to make a difference this year. HOW: Send in bottle caps and/or codes clipped from inside marked cases. Any My Coke Rewards points earned from codes found on participating brand packages can be donated to a school. Any Bonus Points earned can also be donated to schools. My Coke Rewards participating brands include Coca-Cola, Diet Coke, Coke Zero, Sprite, Sprite Zero, DASANI, POWERADE ION, Minute Maid, VAULT, Pibb Extra, Fanta, Fresca, Barq’s, Seagram's, Nestea and Mello Yello. HOW: Clip box tops and send to your child’s teacher! MORE INFO: Box Tops is one of America’s largest school earnings loyalty programs with over 80,000 k-8 schools participate. Schools can use Box Tops cash to buy whatever they need. 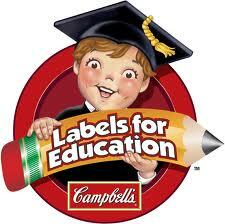 You can send Box Tops to school anytime and each Box Top is worth 10¢ for our school. Box Tops earnings are sent out to schools twice a year, in December and in April.